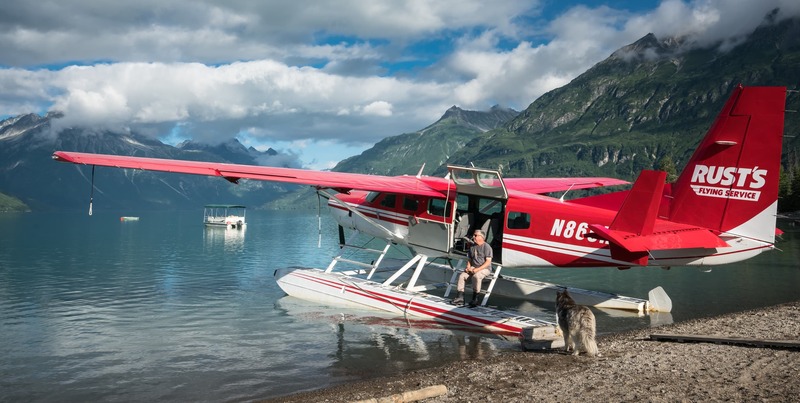 It all began in 1963, when retired Air Force Colonel and WWII vet Henry “Hank” Rust founded Rust’s Flying Service using a Piper Super Cub (two-seat airplane) to fly hunters and fishermen to remote areas of Alaska. As times changed, so did this little business. Rust’s Flying Service added airplanes to accommodate more fishermen, hunters, flightseers and Alaska’s growing tourism industry. Rust’s Flying Service is now run by Hank’s sons, Todd and Colin Rust and Todd’s wife Suzanne Rust. The Rust family purchased our sister company, K2 Aviation (Talkeetna, AK) in 1996 and have grown the single plane business to a fleet of 22 aircraft between the two companies. Visit our fleet page to learn more. Bear viewing in a day! In 1996, the Rust Family also introduced a new concept, bear viewing in a day. These tours opened up a new opportunity for visitors with less time or money to visit the famed Brooks Falls in Katmai National Park and the beautiful Redoubt Bay Lodge. Previously, these opportunities had been primarily overnight experiences. In addition to Katmai and Redoubt Bay, we also offer two bear viewing tours to Lake Clark National Park. We’re glad you asked. Rust’s Flying Service has a long history of flying in Alaska – over 55 years! Rust’s Flying Service is a National Park Service approved concessionaire with an excellent safety record. We have the most experienced pilots in the business and our operations managers have been with us for over 20 years. With Colin Rust personally heading up our maintenance department, you can be confident that our aircraft is meticulously maintained. We have an extremely experienced staff, and we love to share our beautiful Alaska with guests from around the world. From our family to yours, we look forward to welcoming you to Rust’s Flying Service!